Kilmarnock boss Lee Clark has raided former club Newcastle for a hat-trick of loan signings. Striker Cal Roberts, goalkeeper Freddie Woodman and midfielder Sean Longstaff have all made the switch to Rugby Park until the end of the season. Clark added 17 new players to his squad in the summer but admits he would have to perform further surgery this month after a frustrating start to the season left Killie sitting third bottom of the Ladbrokes Premiership. Now he hopes his Magpies recruits will provide the spark he is looking for. 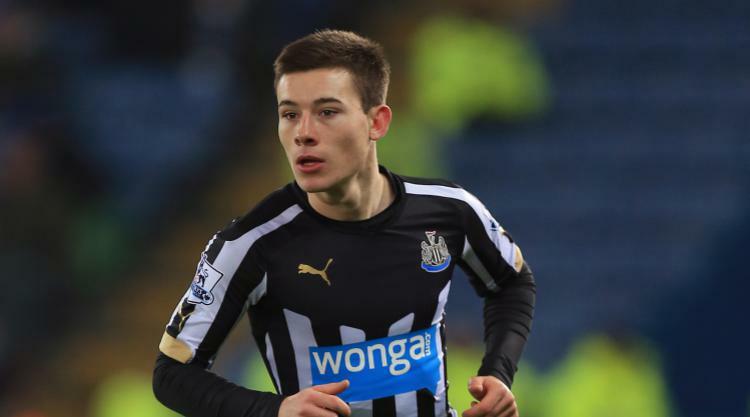 Roberts, 19, has already tasted first-team action with the St James' Park outfit. He made his senior debut for Newcastle in January 2015, coming on as a second-half substitute in an FA Cup match against Leicester, and has since then been farmed out to Gateshead on loan. Woodman, also 19, started his career at Crystal Palace before moving to the academy set-up at Newcastle in 2013. The England youth international - who has also had loan spells with Hartlepool and Crawley - was part of the Three Lions squad which won the UEFA European Under-17 Championships in 2014. Fellow teenager Longstaff is a central midfielder and will hope to make the step up to first-team action having impressed for Newcastle Under-23s, who are currently managed by Magpies favourite Peter Beardsley.